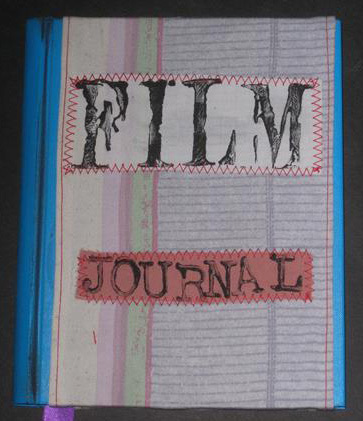 My Film Journal is made from recycled materials including an old hardback book and envelopes. It has a textile cover with hand printed applique. It has 74 pages decorated with page tags and edges with a Film theme. 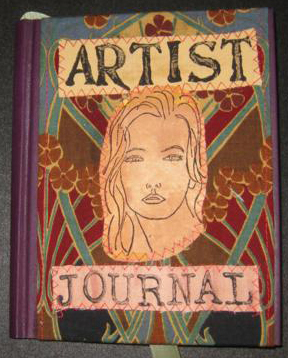 Further pictures of this Journal can be seen on the art journals page of this website. 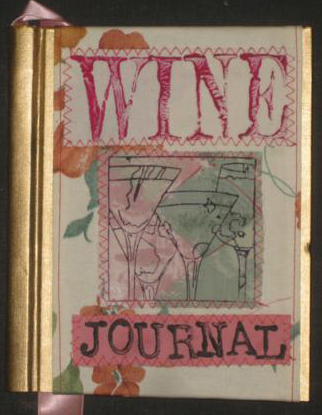 My Wine Journal is made from recycled materials including an old hardback book and envelopes. It has a textile cover with hand printed applique. It has 74 pages decorated with page tags, photos and stampings of Wine themed items.Further pictures of this Journal can be seen on the art journals page of this website. The price includes postage and packing. 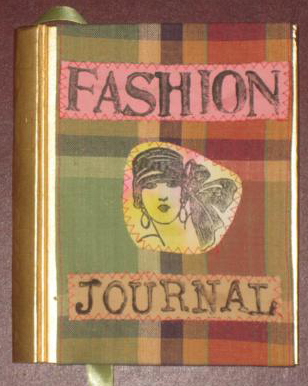 My Fashion Journal is made from recycled materials including an old hardback book and envelopes. It has a textile cover with hand printed applique. It has 74 pages decorated with page tags, photos and stampings of Fashion themed items.Further pictures of this Journal can be seen on the art journals page of this website. The price includes postage and packing. My Rock & Roll Journal is made from recycled materials including an old hardback book and envelopes. It has a textile cover with hand printed applique. 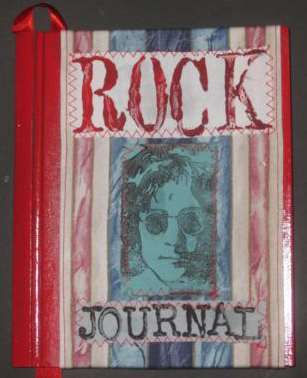 It has 74 pages decorated with page tags, photos and stampings of Rock themed items.Further pictures of this Journal can be seen on the art journals page of this website. The price includes postage and packing. 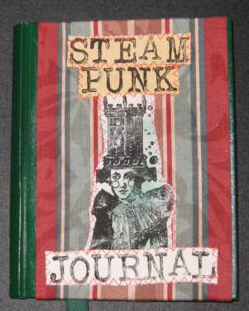 My Steampunk Journal is made from recycled materials including an old hardback book and envelopes. It has a textile cover with hand printed applique. It has 74 pages decorated with page tags, photos and stampings of Steampunk themed items.Further pictures of this Journal can be seen on the art journals page of this website. The price includes postage and packing. 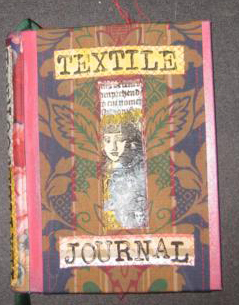 The Big Textile Journal is approximately 10"x 8" and is fully recycled. It comprises the cover of an old hard back book with recycled envelopes as pages. The 74 pages have alternate fabric page edges and feature miscellaneous hand printed textile images. All textile embellishments are zig zag sewn. 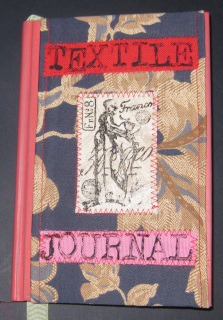 The cover has hand printed textile images on the front, back and spine. The end pages have further textile collages.The price includes postage and packing. 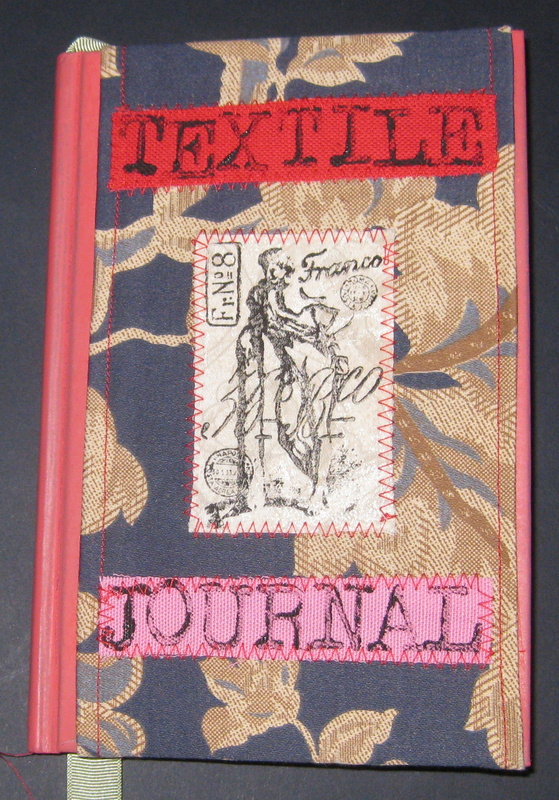 The Textile Journal is fully recycled and comprises the cover of an old hard back book with recycled envelopes as pages. The 74 pages have alternate page edge textiles and feature miscellaneous hand printed textile images. All textile embellishments are zig zag sewn. 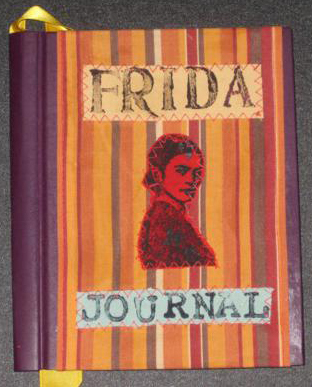 The cover has hand printed textile images on the front and back. The end pages have further textile collages.The price includes postage and packing. My Goth Journal is made from recycled materials including an old hardback book and envelopes. It has a textile cover with hand printed applique. 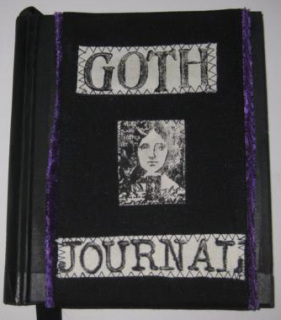 It has 74 pages decorated with page tags, photos and stampings of Goth themed items.Further pictures of this Journal can be seen on the art journals page of this website. The price includes postage and packing. velop her own additions to the pages.Further pictures of this Journal can be seen on the art journals page of this website.The price includes postage and packing. 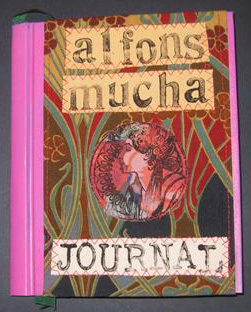 My Alfons Mucha Journal is made from recycled materials including an old hardback book and envelopes. It has a textile cover with hand printed applique. It has seventy four pages decorated with page tags and pictures from the work of Alfonse Mucha. Further pictures of this Journal can be seen on the art journals page of this website.The price includes postage and packing. 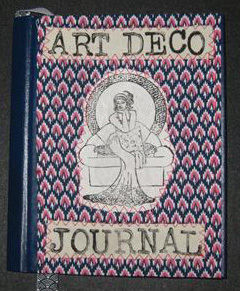 My Art Deco Journal is made from recycled materials including an old hardback book and envelopes. It has a textile cover with hand printed applique. It has seventy four pages decorated with page tags and stampings evoking the art deco era.Further pictures of this Journal can be seen on the art journals pageof this website.The price includes postage and packing. 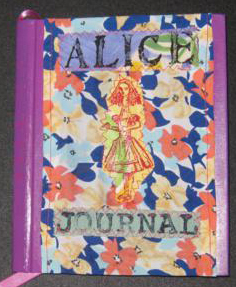 My Alice Journal is made from recycled materials including an old hardback book and envelopes. It has a textile cover with hand printed applique. It has seventy four six pages decorated with page tags and pictures of Alice.Further pictures of this Journal can be seen on the art journals pageof this website.The price includes postage and packing. My Jazz Journal is made from recycled materials including an old hardback book and envelopes. It has a textile cover with hand printed applique. 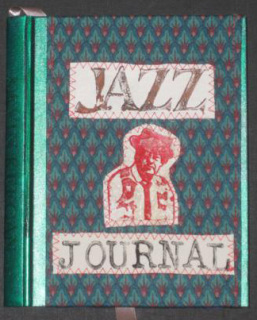 It has 74 pages decorated with page tags and photos of Jazz.Further pictures of this Journal can be seen on the art journals pageof this website.The price includes postage and packing. 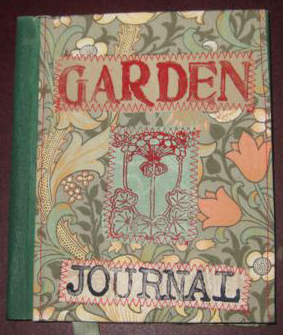 My Garden Journal is made from recycled materials including an old hardback book and envelopes. It has a textile cover with hand printed applique. It has seventy four pages decorated with page tags and stampings on a garden theme.Further pictures of this Journal can be seen on the art journals pageof this website.The price includes postage and packing. 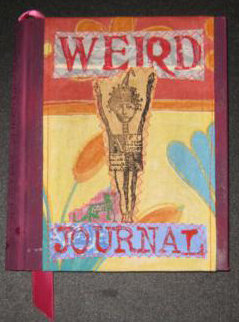 My Weird Journal is made from recycled materials including an old hardback book and envelopes. It is based on the Zettiology collection of rubber stamps created by Teesha Moore. It has thirty six pages decorated with page tags and stampings.Further pictures of this Journal can be seen on the art journals page of this website.The price includes postage and packing. 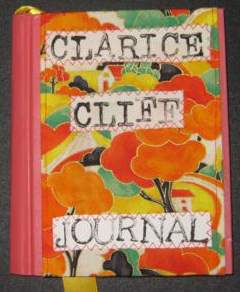 My Travel Journal is made from recycled materials including an old hardback book and envelopes. It has pockets on the inside of the binding in which tickets an other found items can be stored. 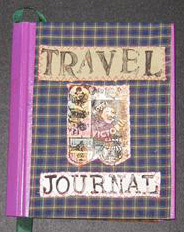 It has 74 pages which are decorated with tags and travel related ephemera.Further pictures of this Journal can be seen on the art journals page of this website.The price includes postage and packing. 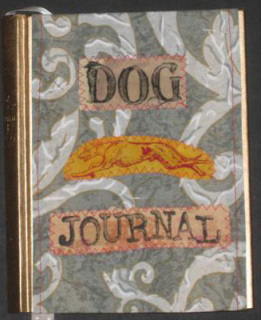 My Dog Journal is made from recycled materials including an old hardback book and envelopes. It has a textile cover with hand printed applique. It has 74 pages decorated with page tags and dog related ephemera.Further pictures of this Journal can be seen on the art journals pageof this website.The price includes postage and packing. 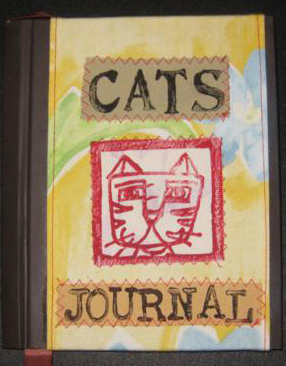 My Cats Journal is made from recycled materials including an old hardback book and envelopes. It has a textile cover with hand printed applique. It has 74 pages decorated with page tags and cat related ephemera.Further pictures of this Journal can be seen on the art journals pageof this website.The price includes postage and packing.